Changing the IP address allows access to foreign sites not accessible from your country. There are several methods: here’s how to do it from a PC, Mac, VPN, smartphone and iOS and Android tablets. Change the IP address, an operation that sometimes allows you to open several unknown options. It will happen to everyone, sooner or later, by browsing online, to come across a site that is not accessible and obscured in your country: the displayed page closely resembles that of the loss of connection, but is the internet connected? Probably the problem is related to the IP address, a kind of code that identifies the individual users connected online and varies by device. How to change my IP address: this is the first thing you will have thought of as soon as you realize the problem. Changing the IP address, fortunately, is simple and you can do it in different ways. First of all you need to identify the type of IP address in question: external or internal. The first one refers to the local network and is assigned when the PC (or another device) is connected to the router, the second one is the one given by the provider to the connected device to connect to the internet and therefore to the external network. No need for a degree in computer science: changing your IP address is an extremely simple operation. Here’s how. Changing the external IP address is easier because you can rely on different sites and online services or some applications to be easily installed on your PC. How do they work? Simple: these platforms and apps allow you to imitate and simulate an IP address belonging to foreign countries that is somehow “lent” to allow us to navigate on otherwise inaccessible portals. The services are both free and paid and allow you to visit foreign sites without spending a penny, provided you do not exceed any traffic and time limits. Changing the external IP address by relying on proxies is really simple and allows you to simulate the IP of another country without installing extensions or programs. If you want to hide your geographical location by browsing and opening foreign sites, you can rely on Hide.me, a web-based proxy that guarantees anonymity. With the free mode you can connect only one device and take advantage of the hidden connection for small transfers. If you are interested in watching streaming content such as the American or other Netflix catalog, then the best way is to change IP through a VPN ( Virtual Private Network ). VPNs allow you to take advantage of a secure remote connection that hides the IP and replaces it with a virtual private network created specifically by the chosen provider, in this way the site to which you are connected will see the geographical position of the VPN and not the real one. To use a VPN you must download the reference client on a PC, smartphone or tablet and start browsing through the IP address of the country you need. The available VPN programs are different. If you are looking for more complete and paid solutions, you can rely on NordVPN, which allows $6.99 a month for a 12-month plan to surf safely and reliably on any foreign site, including Netflix. Other paid solutions, always cheap and not too expensive, are ExpressVPN, CyberGhost and SAFERVPN (very suitable for viewing streaming contents that are not accessible in your country). A totally different speech with regards to the internal IP address: in this case it is necessary to operate through the modem and the router, reviewing the settings and following some very precise procedures. There is no need to rely on external programs or tools, but it is necessary to lose a few minutes through procedures from real geeks. Here’s how to proceed. To change the IP address from a Windows PC, refer to the control panel of the operating system. The path to follow is as follows: click Start button on the lower left, Control panel (if you can’t find it, search it in the search bar) and then Network and Internet and Network and sharing centre. Click on the connection (ethernet or LAN via Wi-Fi) and then, on the small pop-up window that opens, Properties (administrator access is required to proceed). 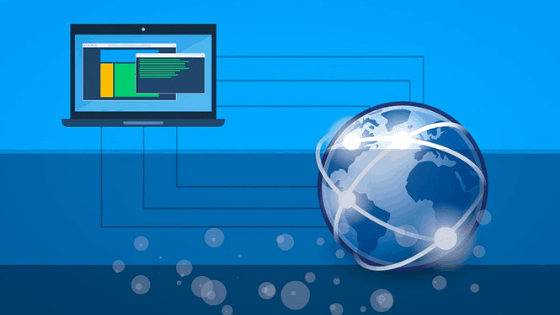 Now you need to click Internet Protocol version 4 and configure the connection by ticking the Use entry and typing the IP address to be assigned. You will also need to fill in the entry for the subnet mask (Subnet mask) and in the Default gateway enter the IP address of the router. Where can I find this data to enter? Referring to the router configuration panel. Once you have done everything, you will need to tick the box for Validate settings on exit (below) and finish everything with OK.
On Mac the operation is slightly simpler: to change IP address you can refer to the System Preferences section. Just click on the appropriate icon or find everything through the Launchpad. Once opened simply click on the Network icon and choose the connection in use (Ethernet or LAN Wi-Fi) in the left sidebar and select the Advanced button. Through the TCP/IP card you have to rely on the Manually Configure IPv4 item, typing the IP address you want. By clicking on OK the changes will be applied, for the data relating to the Subnet Mask and the Router always rely on the router management panel. We referred to the configuration and management panel of the router or modem, a fundamental tool for applying the methods just explained. But how to access it? The login procedure varies depending on the device you use to connect to the internet, so there is no standard procedure to follow. Some rules, however, are common for all: first of all you can access the router configuration panel through the web by typing in the address bar the following numbering: 192.168.1.1 or alternatively 192.168.0.1 (you can also find your IP address through sites like MyIp.com). Log in with your credentials and then in the LAN Settings, Devices or Local Network section, select or enter the name of the device to which we want to change the IP address and click on the changes. Generally from here you will have to type in the IP you chose to use and then save any changes you have made (it may also need a complete reboot of the router or modem we modified). It is possible to change IP address also on Android and iOS through two different procedures. On Android you need to refer to Wi-Fi Network Settings. Once you have chosen the connection in use under the Edit network and Show advanced options option, you will have to select Static IP and then IP settings. Enter the desired IP and related information that can be found on the router panel. On iOS instead it always refers to the Wi-Fi settings, clicking on the round icon with the click on Static and insert all the information necessary to configure the network (exactly like on Android). I guess the easiest way to change your IP is with a reliable VPN, I personally use NordVPN. So if you want to make sure no one is capturing the IP where you are using the network, then Nord app should definitely be the number one choice you have to use right away.